‘Tis the season to be Jolly! 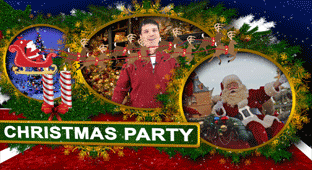 PartyPOP has all you need to make the festive season come alive with Joy and merriment! One of the best things about the season is all the fun holiday parties! Make yours extra special and find the vendor that perfectly suits you here at PartyPOP! From Christmas decorations, to Christmas tree’s, you’ll find all you need right here. Need a Santa Clause for the kids, or some elves to serve as waiters? Need a photographer to capture the little ones chatting with Santa? You can find all that and more here at PartyPOP!